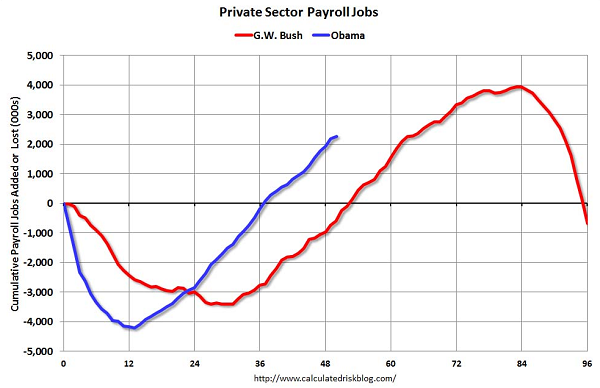 Bill McBride of blog Calculated Risk has updated his popular jobs charts to compare private and public sector job creation under the 43rd and 44th US presidents, George W. Bush and Barack Obama. Neither man was dealt an easy hand. 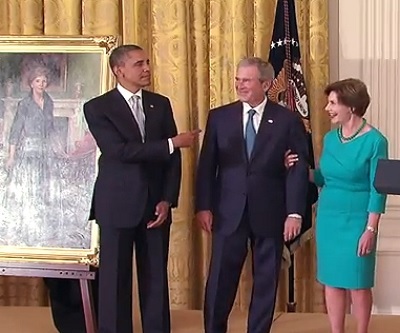 Bush took office in January 2001 as the dot-com bubble was bursting and Obama arrived in January 2009 after the housing market collapse had ravaged the US economy and set off the Great Recession. Net private employment under President Bush sagged by 665,000 jobs during Bush's two terms and had risen to 2,282,000 from when he took office till two months into his second term. 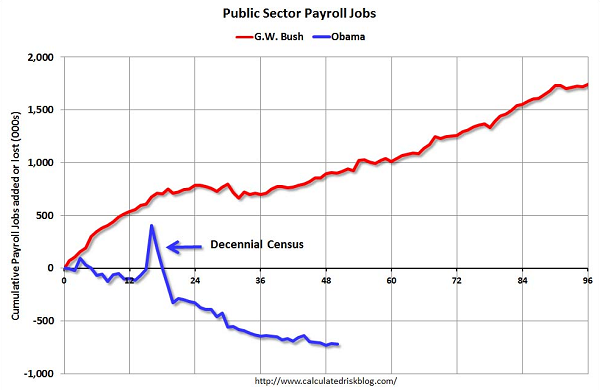 Net public sector employment rose 1,748,000 under Bush and is down 718,000 thus far under Obama.